Chocolate chip cookie dough… just thinking about it makes me want some! So sweet, buttery, and delicious. My mom used to buy those big tubs of cookie dough from Costco. My sister and I would grab two spoons and dig in. Sadly, the huge tub never lasted long. I know, I know, you’re not supposed to eat raw cookie dough, but come on! Who really doesn’t eat it?? It’s far too tempting and delicious! Now that I am older, and not playing competitive volleyball like I did back in the day, I can’t eat an entire tub of cookie dough. I have found a solution though! 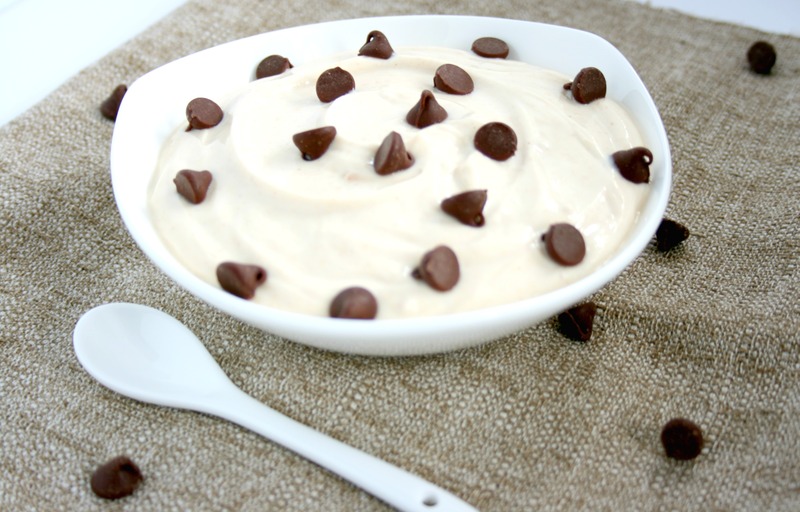 5 Ingredient Greek Yogurt Cookie Dough. I just recently joined The Recipe Redux. It is the first and only recipe challenge founded by Registered Dietitians. This month’s Recipe Challenge is 7 Ingredients or less. What a perfect way to share my 5 ingredient Greek Yogurt Cookie Dough. This recipe is my go to breakfast, dessert, snack, or dip. You can eat it by itself or serve it with apples, bananas, graham crackers, or pretzels. Are you ready for the 5 Ingredients? I bet you have most of them! This recipe is so simple and tastes just like cookie dough! It’s packed with protein and can be made in minutes! What are you waiting for? Make some today! Be sure to check out all the other Recipe Redux posts below! Ooh my sweet tooth thanks you!! This looks SO good!! I have PB2 in my pantry and am always looking for new uses. This looks yummy for breakfast! Love the simple ingredient list, this sounds super tasty! And I will be making this tonight! Thanks girl! 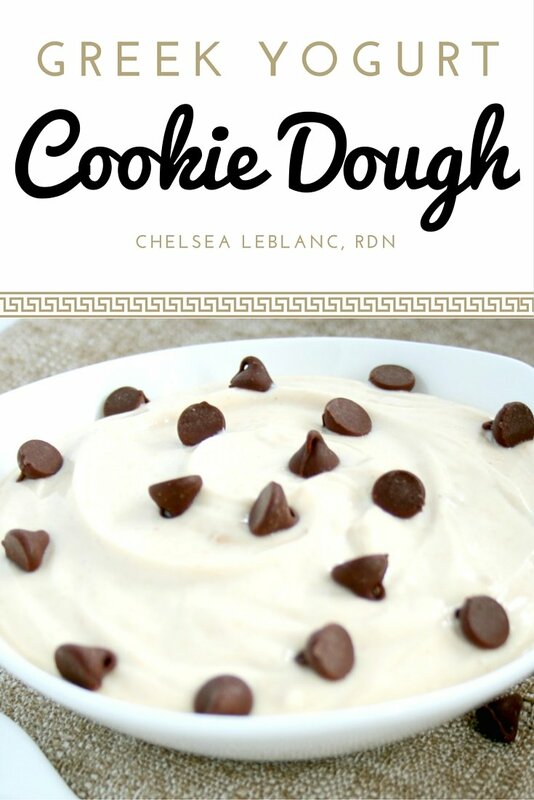 Ooh, I’ve never heard of putting greek yogurt in cookie dough, but it sounds really yummy! Thanks Emily! I love Greek yogurt and cookie dough, so I figured why not try the two together! I recently finally bought peanut powder – can’t wait to make this! OMG- this looks amazing!! Will def be trying this in my future. Happy to have come across your blog! I want to make this for my kids but don’t have pb 2. Can i use natural peanut butter? This was very good but did not remind me of cookie dough in the slightest so that was a bummer but was still very good and keeps the sweet tooth in check thanks for the easy yummy treat ! Of course! It’s one of my favorites to satisfy my sweet tooth!